It’s time for another giveaway! This time, you’ll feel the lasting impact of listening to the Slipstream Podcast – for up to a year! This time, we’re giving away a 1 year subscription (that’s 8 issues) of our favorite periodical: Racer Magazine. 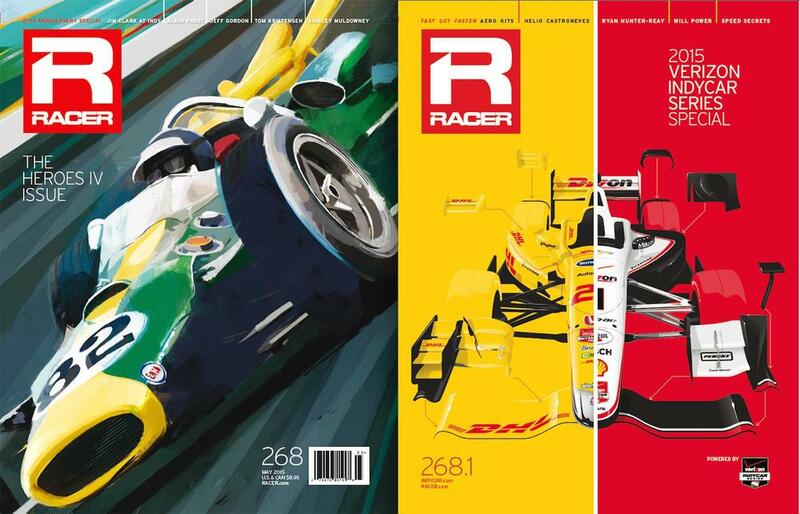 You should already know about Racer Magazine, but if you haven’t it features great writers like David Malsher, twitterless Robin Miller, and recent podcast guest Marshall Pruett. So here’s the deal, we’ve already published a tweet containing the hashtag #SlipstreamRacerGiveaway. You have the opportunity to retweet this once a day for an additional chance. We’re only counting tweets that contain the hashtag #SlipstreamRacerGiveaway. Unfortunately due to high shipping rates and the limited financial capacity of this free podcast, we’re only limiting this giveaway to residents of the United States. We hope to be able to do more for our international audience in the future, but with no income what do you expect? The giveaway has already started and will end at 7:00 PM EST next Wednesday. At that time, we’ll tally up the entrants and make some sort of a random draw to pick a winner. We’ll then direct message you and ask for your shipping information. We’re doing this for two reasons: to get our name out (advertise) and to share the awesome coverage and literature that Racer provides for motorsports fans. So if you don’t mind, please help us spread this wide and far. We wouldn’t be asking if we didn’t think it was worth your (and our) time. If you don’t already, make sure you check out their website, www.Racer.com. We get plenty of our news from them and you should to. As always if there are any questions (we’re still new and hashing all this stuff out), please contact us via twitter (@SlipstreamPOD) or email (slipstreampodcast@gmail.com). Good luck, we hope to see more tweets with #SlipstreamRacerGiveaway than we are comfortable with tracking! Now go out there and spread the word!